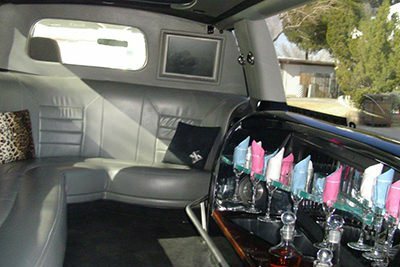 San Diego Party Bus Service should be your absolute number one choice for all your party bus needs. 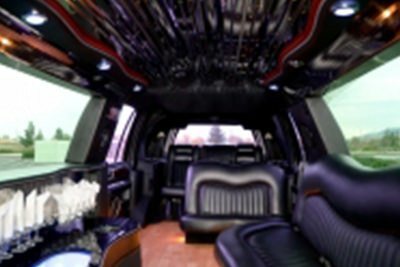 When you're planning that big wedding, bachelorette party, bachelor party, or even just a night on the town, you will certainly want to consider hitting the road in one of our sensational and fully-decked out limo bus vehicles! You can take a look at just a few of our outstanding fleet in the gallery to your right. 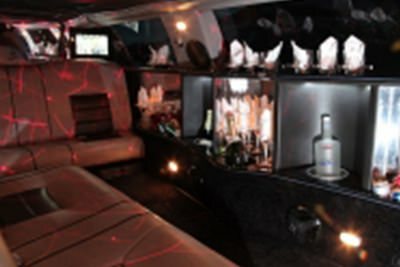 Just imagine partying hearty on one of those mammoth buses, enjoying the night with all of your friends, or even traveling to a business event or corporate function in the style and comfort that only a San Diego Party Bus Service vehicle can provide. All that luxury, right at your fingertips. 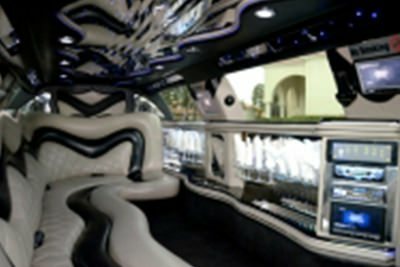 San Diego Party Bus Service offers both black and white party buses in a variety of sizes seating anywhere from 16 to 40 guests. Each vehicle has its own features and perks that you may want to come and look at in person before choosing a bus! 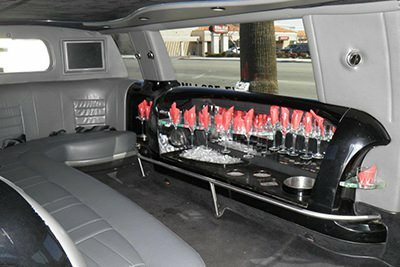 Our San Diego Party Bus Service staff is happy to take you on a personal tour of each vehicle, or if you're short on time, you can simply tell us what your needs are and we'll be able to choose the perfect vehicle for you without you ever having to step foot on our lot. We can also send you additional photographs if you need a more detailed view of any of our features, so be sure to request that when you call or write to us. 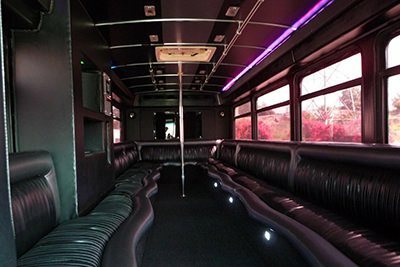 All of our vehicles feature custom leather wraparound seating, which we believe is one of the top reasons to rent a party bus! There's nothing worse than trying to have those memorable conversations when you're traveling in an ordinary car. Craning your neck to see each other, not even able to enjoy drinks on the road... in our party buses, you'll enjoy built-in bars that you can stock with all your favorite alcoholic (or non-alcoholic if you prefer) beverages. There are even cup holders so that you don't have to worry about holding on to your drink all night, and of course that goes a long way toward preventing messy spills too! Each bus features its own beautiful lighting, whether it's LED, fiber optic, or laser. You may have a clear preference for one type of lighting over another, for instance if you're planning a business outing versus a personal party. 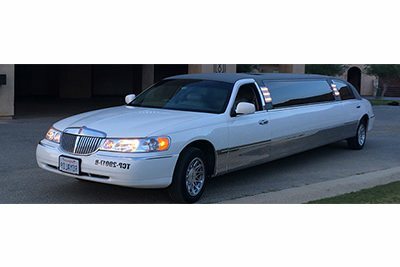 You'll also enjoy the fact that there's dark privacy tint on the windows, giving you the privacy that you need during long trips, so that envious prying eyes on the road won't spy you getting wild on the stripper pole or just shaking your groove thang on the dance floor, whether it's our hardwood or tiled floors. 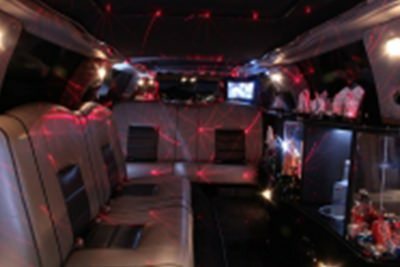 Speaking of shaking your groove thang, when you travel in a San Diego Party Bus Service vehicle, you'll enjoy the highest quality stereo systems available with powerful subwoofers and the ability to play both CDs and iPod music. On the other end of the entertainment spectrum, we've got large screen HDTVs with DVD players so you can watch your favorite movies, music videos, or even business presentations when you're heading out with colleagues or clients. You won't believe how much you'll be able to meet your entertainment needs without even leaving the bus. 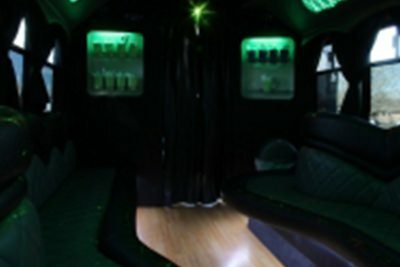 You'll be hesitant to step out and enjoy the clubs and destinations that you're headed to, once you realize that you've got your very own private VIP room on wheels, courtesy of San Diego Party Bus Service! 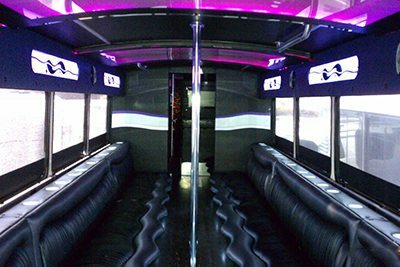 If you would like to speak with someone from San Diego Party Bus Service about renting one of the sensational party buses at your right, you can reach us by phone at 619-304-0355 or by email at info@sandiegopartybusservice.com. Our staff is on call 24 hours a day, 7 days a week, 365 days a year to tend to your needs, and we can take you to your various events throughout the year without limitations on hours or days too! Note that our availability is limited though due to high demand, so we do recommend that you call as early as possible whenever you can, or at least two weeks in advance when possible. A simple deposit is all that you need to make and then you'll have all of the features that you have read about on this page available for your party, set in stone, booked and ready to go. 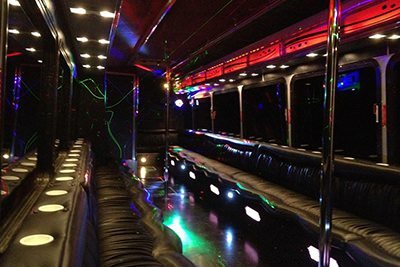 Just call San Diego Party Bus Service whenever you're ready to book! If you're looking for luxury, you can't go wrong with this bus. 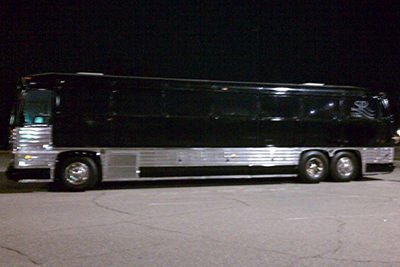 Our 20 passenger party bus is perfect for yout group of up to 20. 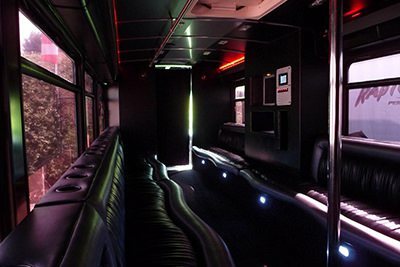 Inside this bus you'll find a custom interior with plush leather seating, exotic hardwood flooring, a custom ceiling, granite topped bar and cooler, colorful club-style lighting, dance pole, and several flat screen TVs that play both DVD and BluRay! But that's not all, the amazing state-of-the-art stereo system play radio, CD, or be hooked up to your iPod or other MP3 player! 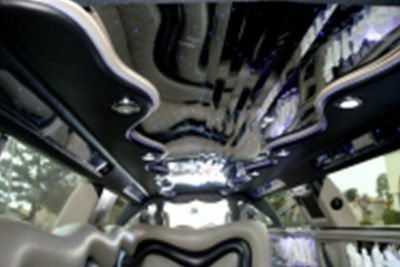 Groups of up to 30 will love this party bus with its unique interior design. 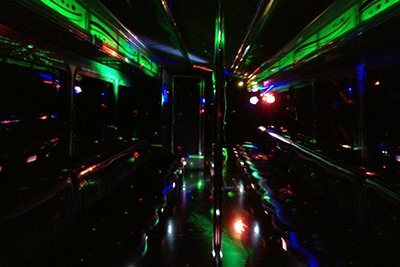 Huge flat screen TVs, DVD/BluRay players, colorful lighting, leather seating, hardwood flooring, and amazing sound quality make this bus a night club on wheels! 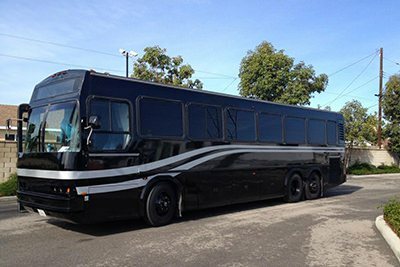 If you're looking for a bus to party on in San Diego, this is it! 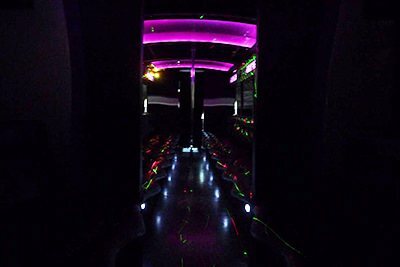 If you've got a large group of up to 40 passengers, you're going to kick yourself if you don't check out our gorgeous 40 passenger party bus first! Equipped with all the finest luxuries we could find, your group is sure to enjoy the club-like lighting, the kicking stereo system and all of the multimedia goodies we could dream up. 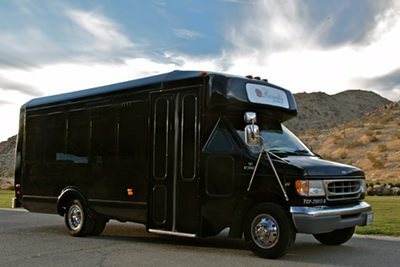 There are big events in life that sometimes call for the big daddy of all party buses. Our 50 passenger bus is that bus. 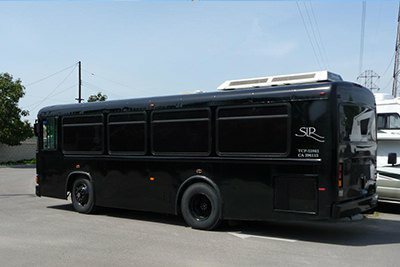 San Diego's premier 50 passenger party bus is set to handle as many people as you can throw at it (as long as it's not more than 50)! This is the perfect choice for those large work parties, and wedding events where you want everyone to stick together and enjoy the festivities as one group. 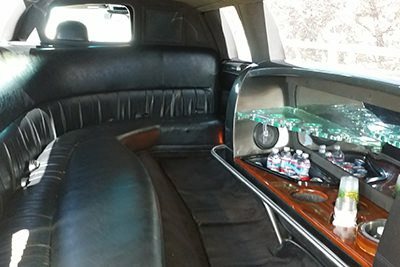 For a small intimate setting, at an affordable price, you're going to want to check out what this beautiful 8 passenger Lincoln Town Car limousine. We have spared no expense in equipping the smallest member of our fleet with the finest equipment known to luxury transportation. You've just got to see this one to believe it! 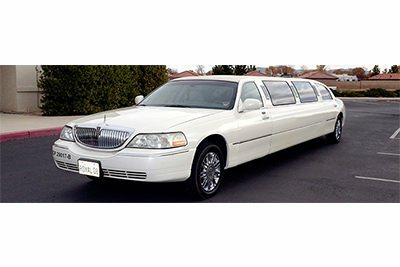 With a refined and luxurious interior, and that classic Lincoln Town Car exterior, our first 10 passenger Town Car Limousine is a great choice, regardless of the function you're attending. After all these years, the perennial Lincoln still turns heads with it's clean design and timeless style. 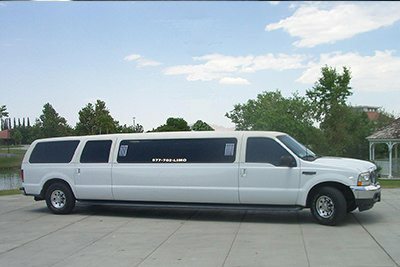 Once you slide into this glamorous stretched Town Car limo, you're going to forget all about the world outside. With elegant styling from the floor to the ceiling, your guests are sure to love the elegantly stitched fine leather seating, the fiber optic light display, as well as the accommodating wet bar replete with champagne flutes for when you toast the evening. 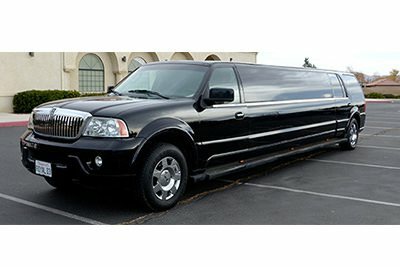 If you really want to make a BOLD impression pulling up to that event, consider this sturdy looking Ford Excursion super stretch limo for your next big day. 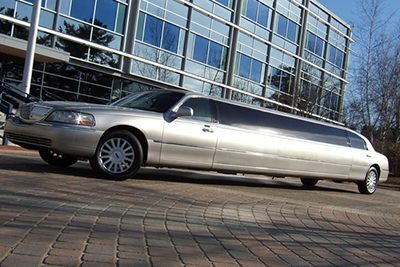 You'll find this gorgeous vehicle equipped with all the requisite amenities to ensure a glorious experience, and more! 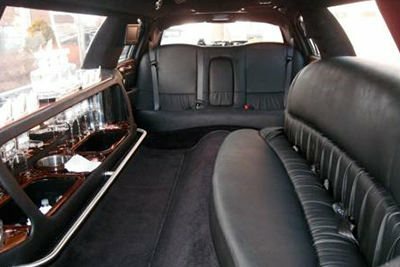 Get in touch with us today to find out some good information on this limousine. This beautiful jet black Lincoln Navigator limousine just screams "look at me" wherever she goes. Simply brimming with elegance, from the hardwood flooring, the extra large wet bar conveniently across from the seating, all the way to the chromed reflective ceiling with mood lighting. There's just no feature that has been overlooked to guarantee you have a great day or night when you rent this one.